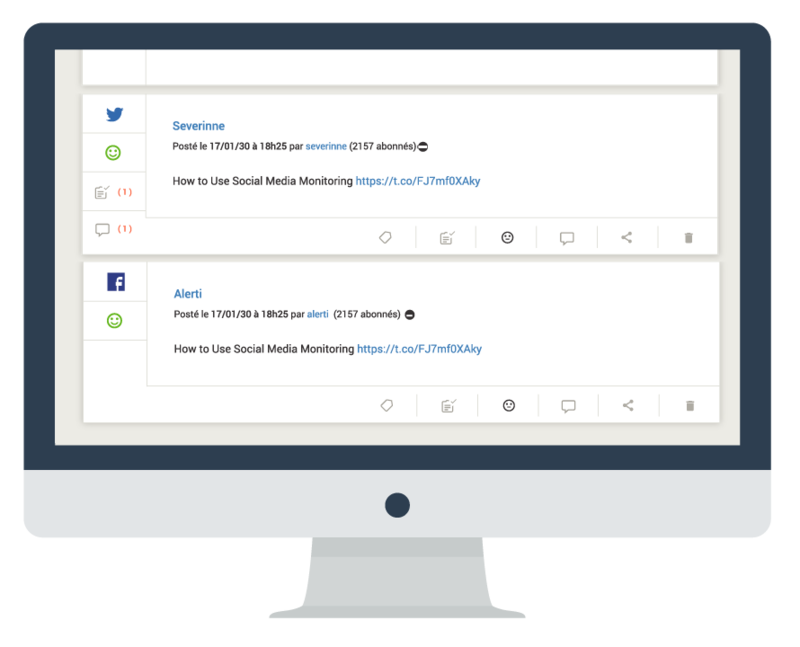 Create alerts on the keywords of your choice to monitor what is being said about your brand, your competitors, your industry. Subscribe by email to your alerts (real time, daily, weekly). Filter results by date, source, sentiment, influence, engagement. Delete results you don’t find relevant. Analyze sentiment and understand key trends. Get advanced analytics for your social accounts (Facebook pages, Twitter accounts). Identify your influencers, ambassadors or detractors. 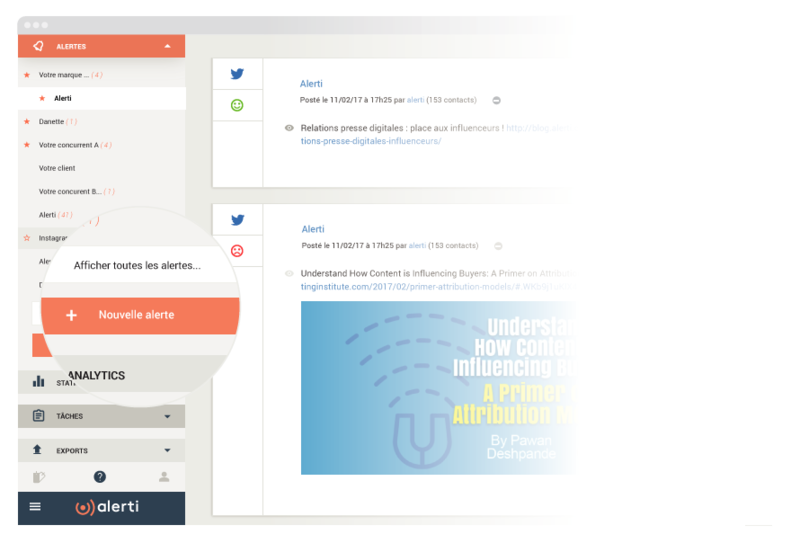 Engage on social networks directly from your Alerti account. Measure the performance of your posts. Identify your content generating most engagement. Track the Facebook pages and Twitter accounts of your competitors. Share your alerts with your collaborators. Assigne tasks to your collaborators. Manage your contacts and control their access rights. 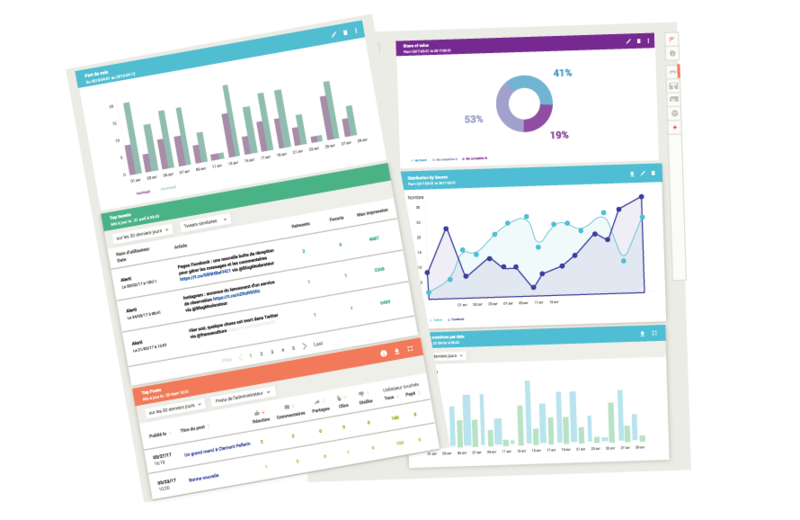 Analyze effective dashboards to understand key trends. Export your alerts results, graphs, dashboards, Twitter and Facebook analytics. Program custom reports in one click adding your own logo. Export format : pdf, csv, rtf, png. Follow the conversations wherever you are. Collect results on your phone. Edit the settings of your alerts. Everything stays in sync with your Alerti account.